Tavern Arka Restaurant opened its doors on 15th July, 2016. 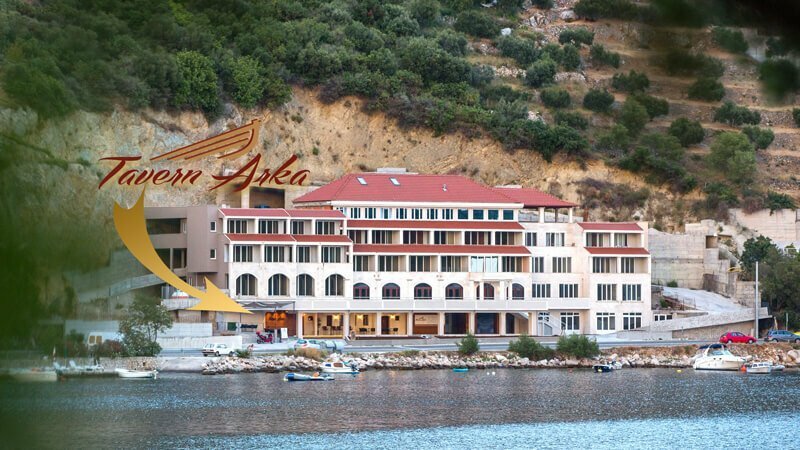 The restaurant is situated in the Zaton, Dubrovnik. Zaton is a bay area at the north coast of Dubrovnik. It is easily accessible by following the Adriatic coastal road towards Split, less than 8 km from the main port of Dubrovnik. If coming from the north of Croatia, Zaton is the last largest bay you’ll need to pass before crossing the Dubrovnik bridge (across the river “Rijeka Dubrovačka”) towards the city centre. Tavern Arka Restaurant is located on the ground floor of a newly built hotel opening soon. Typical for this part of the Mediterranean coast and Dubrovnik area, our newly built restaurant interior reflects past times. With carefully decorated stone walls, a wooden bar, two stone fireplaces & wooden bean ceiling’s a unique ambience is secured. The standard indoor table setting can take a maximum of 70 guests at once. A small terrace outside with 24 seats overlooks the bay area for those that prefer outdoor seating. The tavern is non-smoking, provides its guests with free parking and WiFi as well as wheelchair acceptability. Covered parking also available on demand. 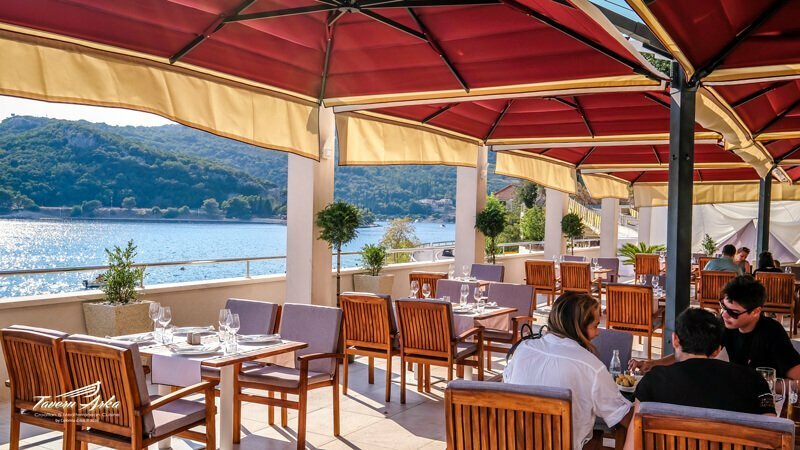 The Executive Chef has several years of experience working for a major 5-star hotel chain in Croatia. The Restaurant Manager/Owner has a long carrier in the hospitality and restaurant business in USA & Croatia. A well reviewed restaurant on Tripadvisor and other social networks. 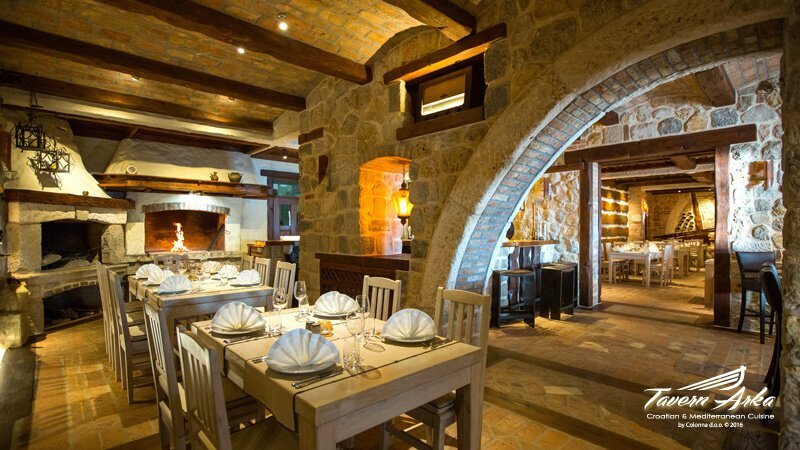 The restaurant was newly discovered by many Dubrovnik hotels and their guests. Enjoy extraordinary steaks & seafood at unbeatable prices in a cosy vintage ambience in Zaton, Dubrovnik. Table Reservations can be made by phone or online (just below). Presently, we are open for dinner from Tuesday to Saturday from 17:00 (5 pm) to 23:00 (11 pm) and for lunch on Sunday from 12:00 (noon) till 17:00 (5 pm). Groups & events are always welcome, requests on demand. We’re not trying to be cool but, at the Tavern Arka we only have 70 seats inside and 100 seats on the outdoor terrace area. So, we just can’t think of a better and fairer system for those that have no reservation then, first come, first served. Make Your Table Reservation Now! AS LONG AS YOU WATCH YOUR SOUND VOLUME! Na Ratu 3A Zaton, 20235 Dubrovnik, Croatia, E.U.